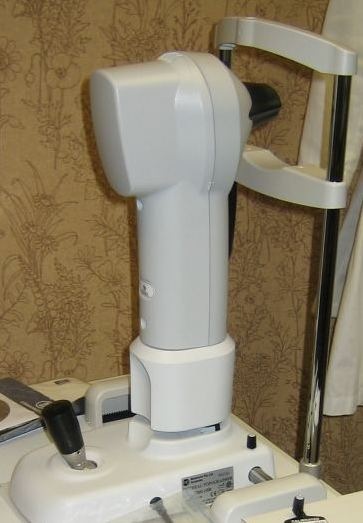 Our office has the latest technology, Medmont corneal topographer , which allows our doctors to take color, digital photographs of our the patient's cornea precisely. This test assists our doctors to give all our patients the most accurate and comfortable contact lenses fitting experience and dry eye assessment. This technology also aids in diagnosing any subtle corneal diseases, such as keratoconus, in additional to the traditional slit lamp exam.